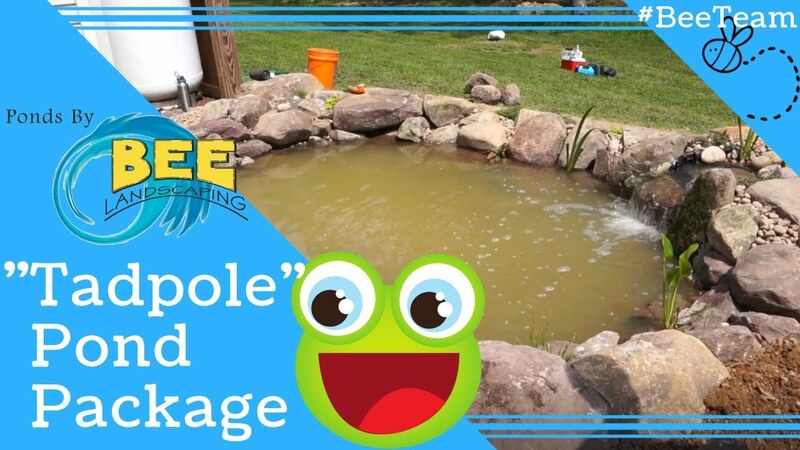 The ecosystem pond is it's own community that meshes living wildlife with the nonliving mechanisms of the environment. The "BeeTeam" strives to blend the Aquascape kit components with nature to create your very own piece of paradise. 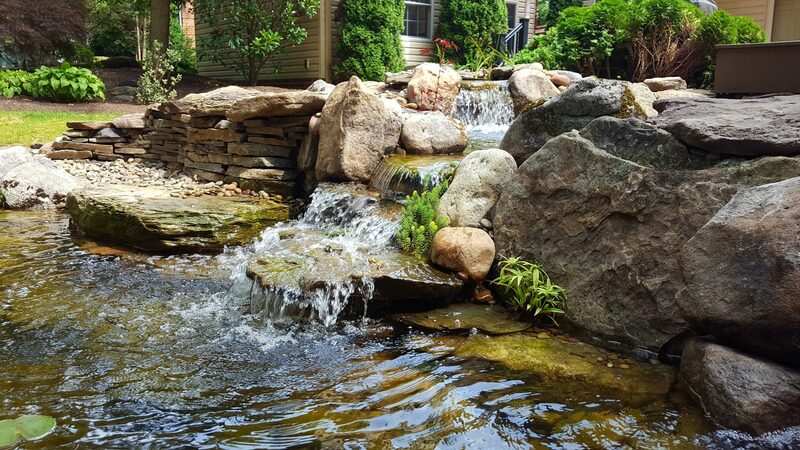 An Ecosystem Pond is one of the most rewarding features you can add to a outdoor space. 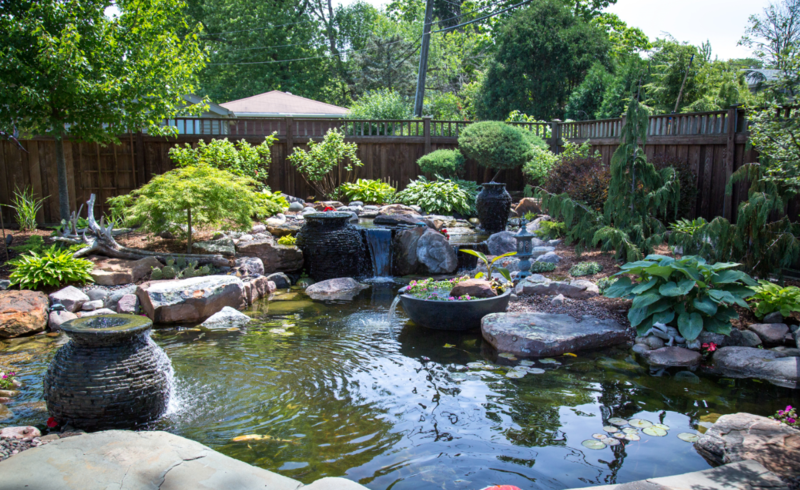 Imagine stepping outside your home into your very own backyard oasis, complete with your own beautiful koi pond. 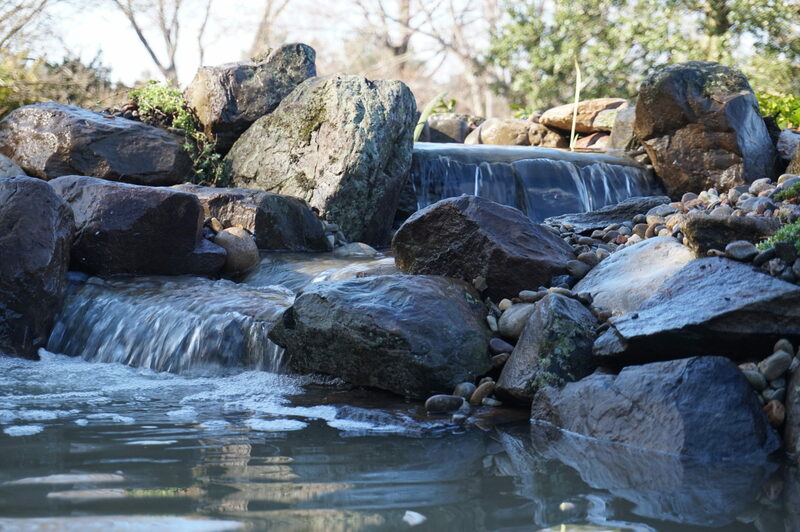 Sit back, relax, and enjoy the soothing sights and sounds of running water and beautiful fish. 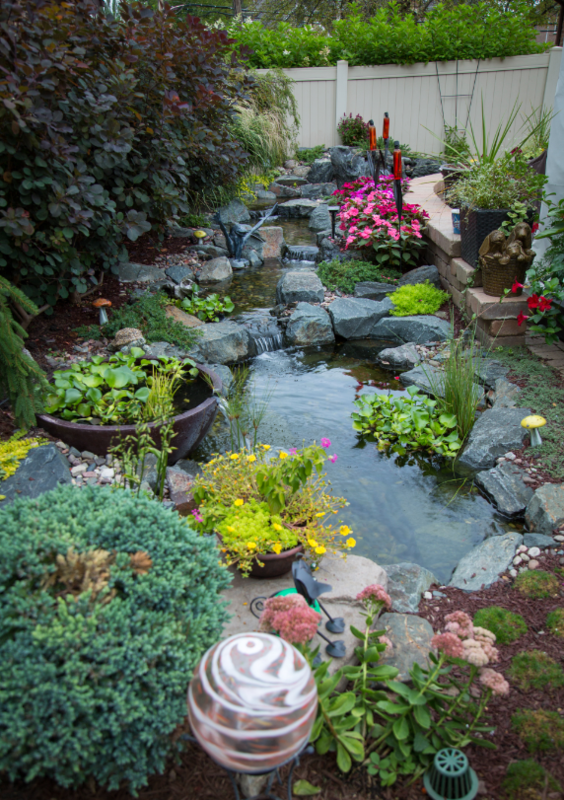 These Water Features are self-sustaining and require very little maintenance. Pond plants give you the chance to broaden your gardening horizons with choices that go beyond the standard plants. Bird lovers will delight in the variety of feathered friends that will flock to your new water feature. Ecosystem ponds work with Mother Nature to provide food, shelter, and safety to the wildlife around it. It also provides an all-natural, low-maintenance piece of paradise. Every piece of the ecosystem puzzle must be present in order for a true ecosystem to be in place. Eliminate one of these elements and you’ve got an unbalanced ecosystem. Pond Skimmer (mechanical filter): will not only pre-filter the water and house the pump; it will also skim debris from the water’s surface to prevent the accumulation of organic materials on the pond floor. BioFalls (biological filter): Provide surface area for beneficial bacteria to colonize and remove excess nutrients from the water. Pumps: an efficient circulation system will keep the water moving and provide the necessary oxygen levels for healthy koi fish and plants. 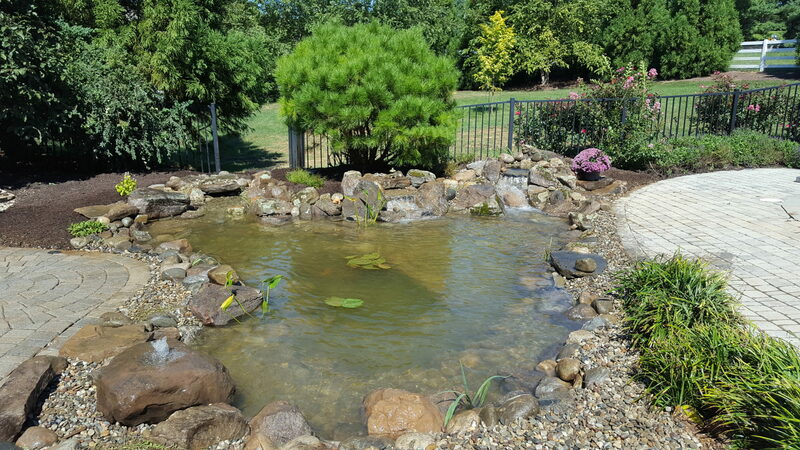 Rocks and gravel: provide tremendous surface area for beneficial bacteria to break down excess nutrients in the water and dissolved organic debris on the pond floor. 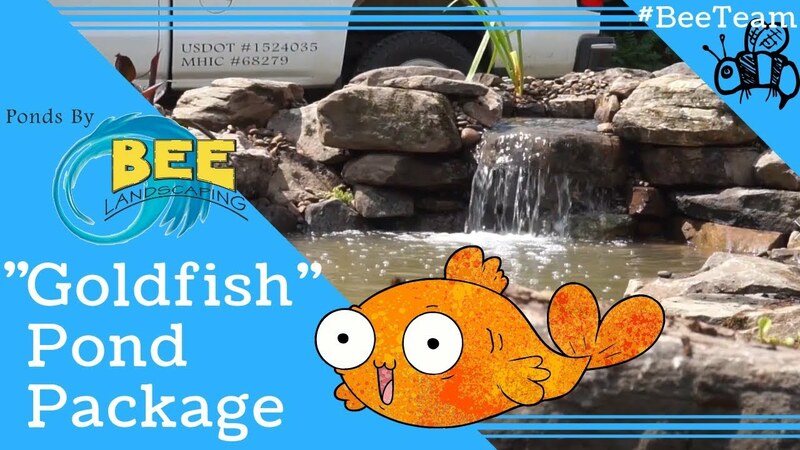 Fish: reduce koi pond maintenance as they graze on string algae and bottom feed on the pond floor. Koi also make very enjoyable pets, providing hours of natural entertainment. Plants: Mother Nature’s true filters, plants are great for adding character to a pond by providing color and texture, but from a filtration perspective, they’re second to none. Thriving from the excess nutrients in a pond and depriving algae of its food source, the aquatic plants in a water garden, given proper coverage, are critical for the overall health of the ecosystem. 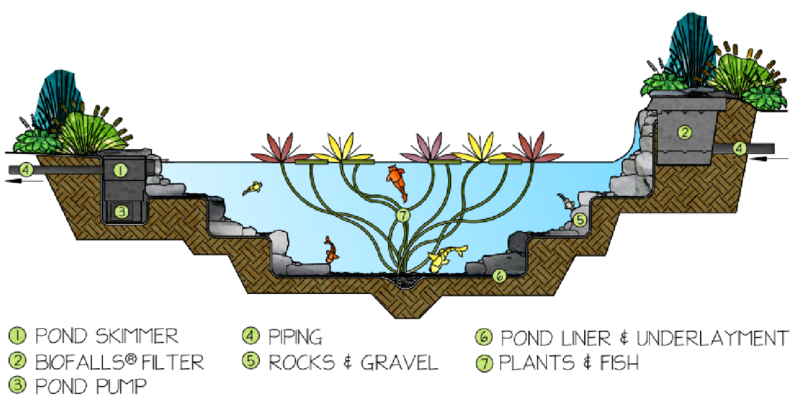 Ecosystem ponds are made up of many parts and when those parts are assembled correctly, they form a beautiful and naturalistic work of art. 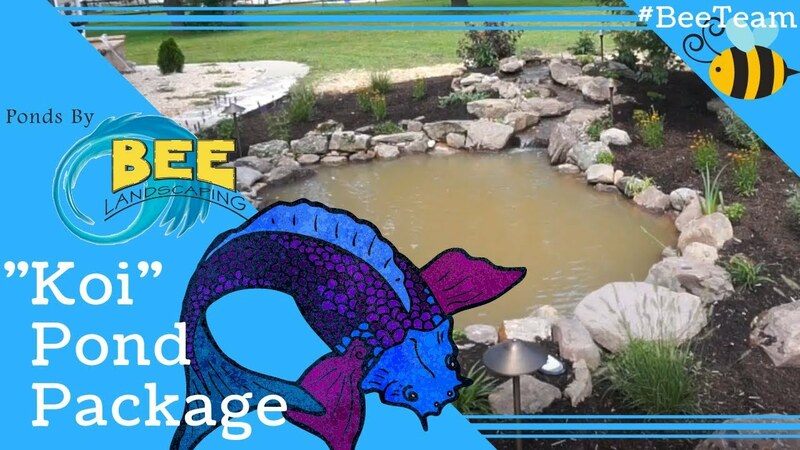 Check out some of our different Pond Packages to see which you think fits best for your living space. Watch our videos to learn more.